The development in knee joint replacement, producing improved clinical outcomes expectation, demands increasing accuracy in implant positioning. Computer Assisted Surgery potentially improves precision in restoring the correct alignment of lower limb. “The postoperative mechanical axis was within 3° of neutral mechanical alignment in 95% of the navigated cases vs 84% of the conventional cases […] and the undesired outliers decreased. Accuracy was improved with navigation”. To answer to this need Medacta has developed the iMNS - Medacta Navigation System. Designed to provide precision and ease of use, iMNS gives surgeons the benefits of navigation and provides them with flexibility, accuracy and reliability. 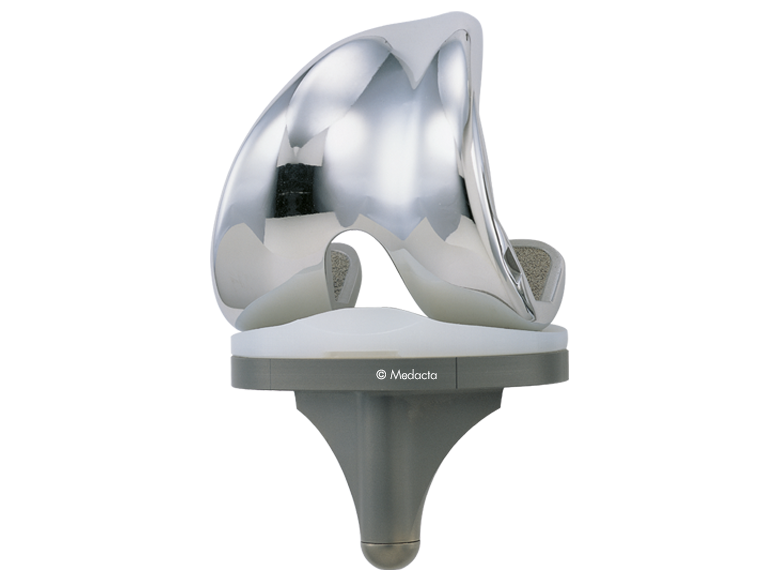 Medacta iMNS Navigation System is designed to put in surgeons hands state-of-the-art technology in total knee replacement and to flawlessly integrate in their daily surgical activity. Focus on specific patient needs. The iMNS software adapts to the surgeon’s needs and not vice versa! LEARN FOR ONE, USE FOR ALL! The iMNS Navigation System is based on cutting-edge technological solutions, combining maximum performance with compactness and easy set-up. Minimum space is required in the operating room, just a few moments and the system is ready for use. The trolley unit allows a comfortable handling of the whole system, ensuring compatibility with all surgical theater layouts. High precision infra-red camera ensures a flawless navigation, which is documented in surgical reports stored on the Hard Drive, CD-rom or USB stick. 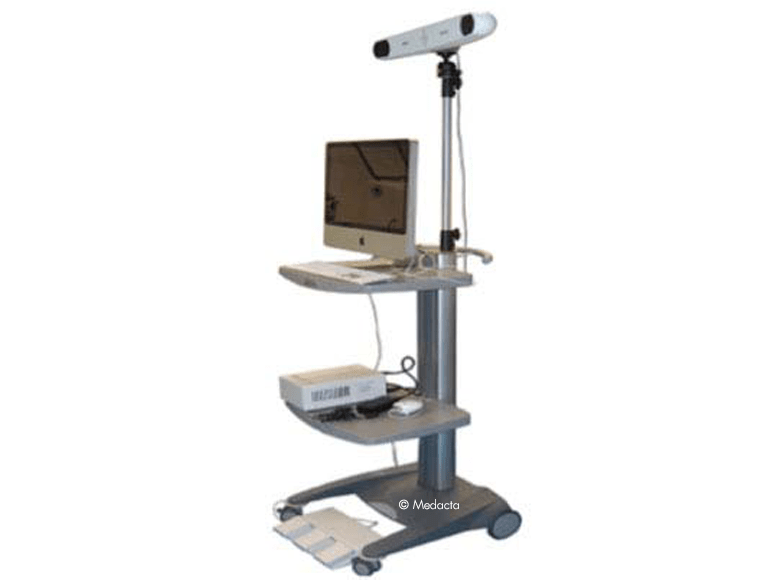 High readability is assured by a video interface on a wide screen display with an integrated operating system. Accurate software validation ensure extreme intra-operative precision and reproducibility of the measured data. The surgeon is safely assisted during the entire surgery, when the system is used as guide. iMNS navigation can be run hands-free by the surgeon: no additional equipment is required. Once the trackers are fixed to the patient’s bone and landmarks acquisition is done, the surgeon can choose to navigate the cutting blocks either free hand or with micrometric positioners. 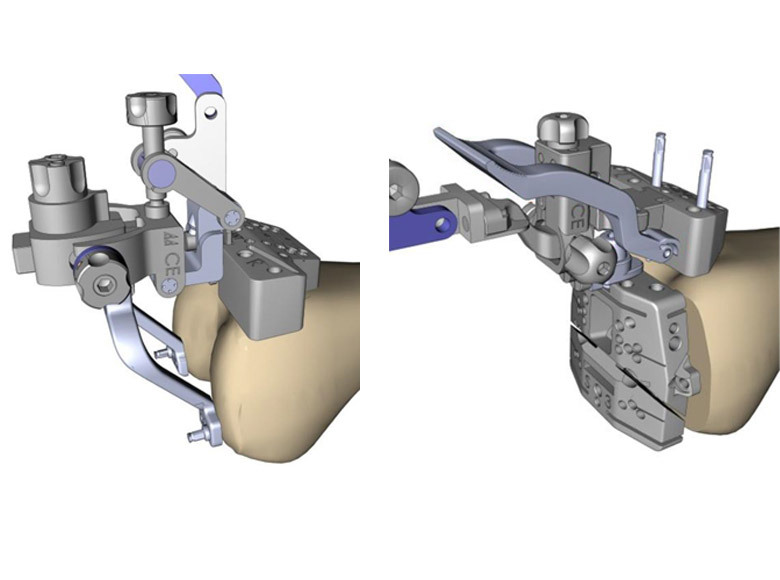 For surgeons looking for a ligament balance technique, a dedicated tensor is available and fully compatible with the iMNS navigation system to navigate the mechanical axis as well as balancing the flexion / extension gaps at the same time. Anderson et al. Computer assisted navigation in total knee arthroplasty: comparison with conventional methods. J Arthroplasty.2005 vol.20 (suppl. 3): 132-138.
iMNS navigation system is fully compatible with the GMK® instrumentation, with few additional CAS-specific instruments needed. As the surgeon is not asked to dramatically change his own habits, this allows to make the learning curve smooth and natural: the software adapts to the surgeon’s needs and not vice versa! All the aligning jigs are no longer needed with computer assisted surgery, so the number of instruments enormously decreases. Indeed navigation allows to save time and costs for washing, assembling and sterilizing processes. Navigation can also help surgeons to manage cases of big extra-articular deformities or in presence of intramedullary fixation devices, where the use of conventional intramedullary aligning jigs would be problematic. 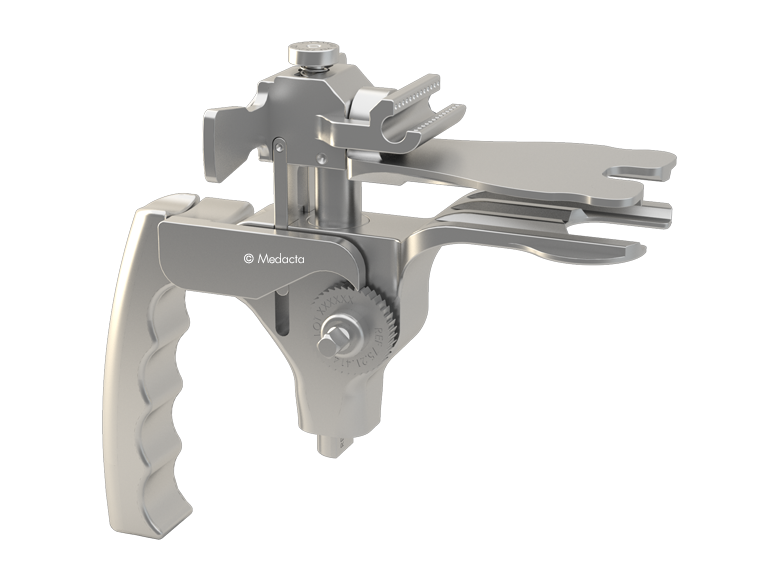 Medacta also offers pre-navigated patient-matched cutting blocks.